Revel is in bankruptcy court for the second time in little more than a year. Executives say the $2.4 billion casino will close and fire its 3,200 employees if a buyer cannot be found. Officials declined comment Monday on a report that there were no qualified bidders to buy the Revel Casino Hotel in Atlantic City. Revel's board of directors was reportedly meeting Monday, in advance of a bankruptcy auction that has been delayed until Thursday. 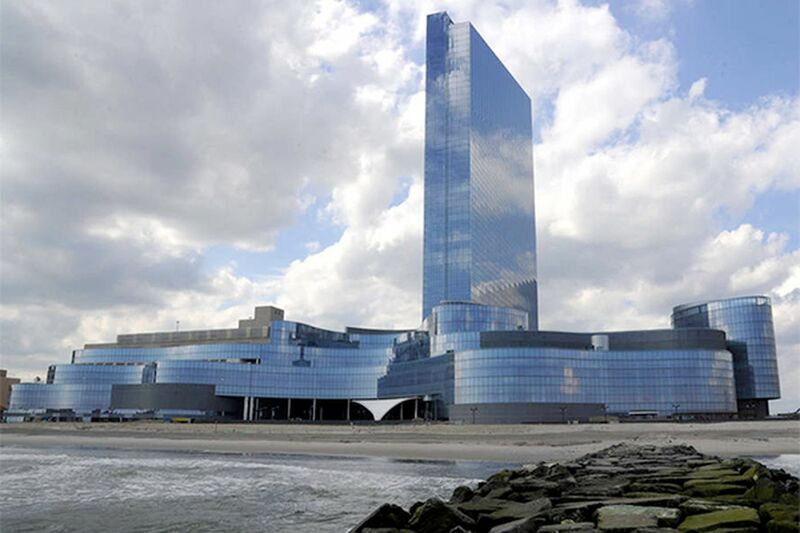 Revel is in bankruptcy court for the second time in little more than a year. Executives say the $2.4 billion casino will close and shed its 3,200 employees if a buyer cannot be found. A report Monday by NBC10 said no acceptable bids had been received, citing an unidentified source. A spokeswoman for Revel declined to comment on the report, as did a spokeswoman for Moelis & Company, the investment firm hired to find potential buyers for the casino. State Sen. Raymond Lesniak (D., Union), an advocate of legal sports betting in New Jersey, said Monday he believed the report "is accurate." But a report on the website NJBiz said that the finances of three prospective buyers are under review. The source, who was not authorized to speak about the matter, told NJBiz on Monday that the bidders, who also were not identified, needed to prove that they were qualified to even be in the running. Meanwhile, Lesniak said sports betting "could breathe new life into Revel." He said he will try to get enough votes next month to override Gov. Christie's veto Friday of a bill that would have partially repealed a prohibition against sports betting at New Jersey racetracks and casinos. Lesniak's bill was a response to the U.S. Supreme Court's decision this summer not to hear an appeal by New Jersey of a lower-court decision that blocked a state effort to introduce sports betting as a way to help Atlantic City's ailing casinos. "Sports bettors come and stay," Lesniak said. An override effort could not happen before September, when lawmakers return to Trenton, Lesniak said. It may be too late for Revel. The Revel bankruptcy auction is now set for Thursday at 9 a.m., after lawyers asked for more time to review the bids that had been received by the Aug. 4 deadline. Officials close to Atlantic City's casino industry said Monday they had received no word that Revel is on the brink of closing. "I can't substantiate anything at this point," said Unite Here Local 54 president Bob McDevitt, who is usually notified of any pending casino closures before they are announced. The union represents most casino workers in Atlantic City. Assemblyman Vince Mazzeo (D., Atlantic) said he had not heard from Revel attorneys that the casino would be closing. In another blow to efforts to keep the casinos open, state regulators said they can't force casinos to stay open while they look for buyers, the Associated Press reported. Three Atlantic City-area state lawmakers last month had asked the state Casino Control Commission to require the Showboat and Trump Plaza to stay open past their expected closings dates. The Showboat is due to close Aug. 31. Trump Plaza is due to close Sept. 16. Staff writer Suzette Parmley contributed to this article.